OnePlus 5 was released today. It comes with top notch specs and design. One thing that is adored the most about OnePlus smartphones is its value of money. You get the best smartphone with top notch specs at almost the half price as compared to other smartphones of its tier. Today the orders of OnePlus 5 has started. 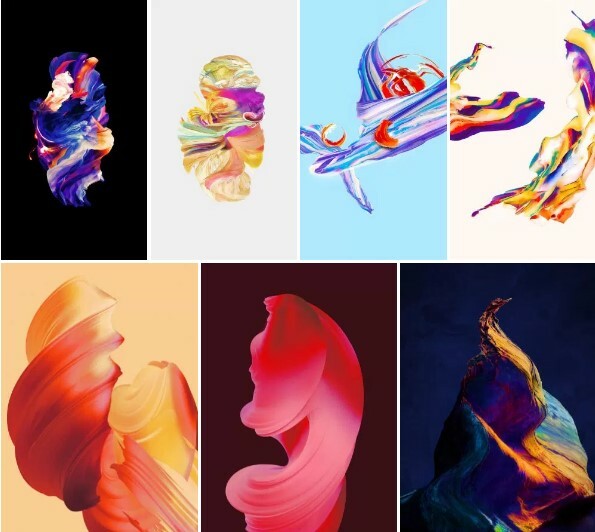 We have somehow managed to get all the OnePlus 5 wallpapers. OnePlus 5 comes with capability to support two sims at a time. It is running on Android Nougat. The smartphone is powered by Snapdragon 835. Along with this heavy processor there is also 8 GB of RAM. Indeed that is some massive processing power. There are two cameras on the back side. One is of 16 megapixels and the other one is of 20 Megapixel. They both come up with spectacular pictures that have no peer in the smartphone market. Even the front camera is of 16 Megapixels. The design of OnePlus 5 is amazing. It has two cameras on the back for better pictures, which also makes the phone look stylish. Once your OnePlus 5 is fully charged you can use it for full day. The smartphone comes with 3300 mAh battery. With the support of dash charging which can charge your phone from zero percent to full in less than an hour. You can either go for 64 GB version or 128 GB version whichever you prefer. The size of OnePlus 5 is optimal. It is of 5.5 inch. You get this all in just 470 USD. That is something amazing. You can never find a smartphone of this calibre in this money. Download the high quality OnePlus 5 wallpapers from this link to Google Drive. You can also download APK of official OnePlus 5 launcher from here. That’s all we got right now about OnePlus 5. Download stock wallpapers of OnePlus 5 on your phone and enjoy. Do give us feedback if you liked these wallpapers. We are also open for discussion about OnePlus 5. Are you planning to get this monster smartphone? Do let us know in the comments box. If you have any questions or queries. You can direct them to us using the comment box.